Paisley Cozzarin of Stop the Tar Sands Waterloo talks ontario resistance to the enbridge line 9 reversal project and looks at the pipeline specs. From the November 30th 2012 edition of AW@L Radio - As the battle against the Keystone XL pipeline continues on the southern route, and a solid wall of resistance has been established to the west, tar sands producers are looking at the eastern route to ship their crude product to market. 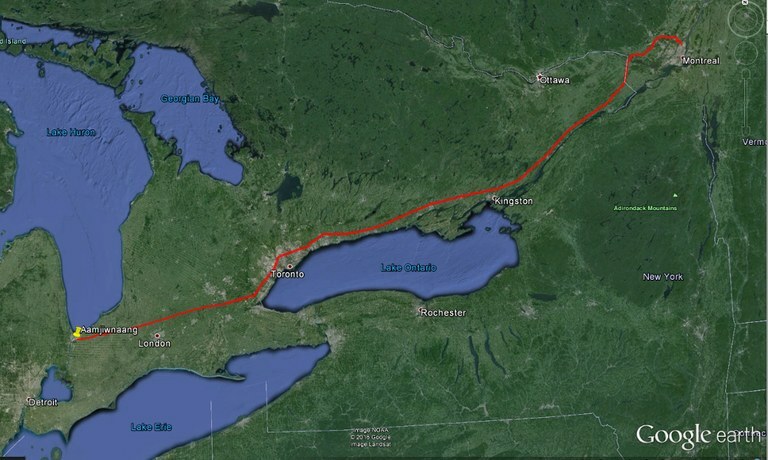 The line 9 reversal project is a plan by enbridge corp to pump crude eastward from sarnia to montreal along a 40 year old pipeline that was designed for westward flow and light crude oil, not the high pressure and highly corrosive viscosity of the diluted bitumen slurry pumped from northern alberta. We have to look no further that the Kalamazoo line 6b spill of tar sands crude in 2010 to know that these pipelines are not built for such use. Today we are once again joined by Paisley Cozzarin of Stop the Tar Sands Waterloo to discuss where the project stands now, and how the resistance to this reversal continues to grow. After a well attended toronto conference on the reversal, activists are well organized and mobilised to stop the tar sands by shutting down the flows!